22 years ago today I married my best friend. What an adventure our life has been and continues to be. We were married on the start line of the Adelaide Formula 1 racetrack. The first racetrack that Bob built. A small gathering of family and friends. 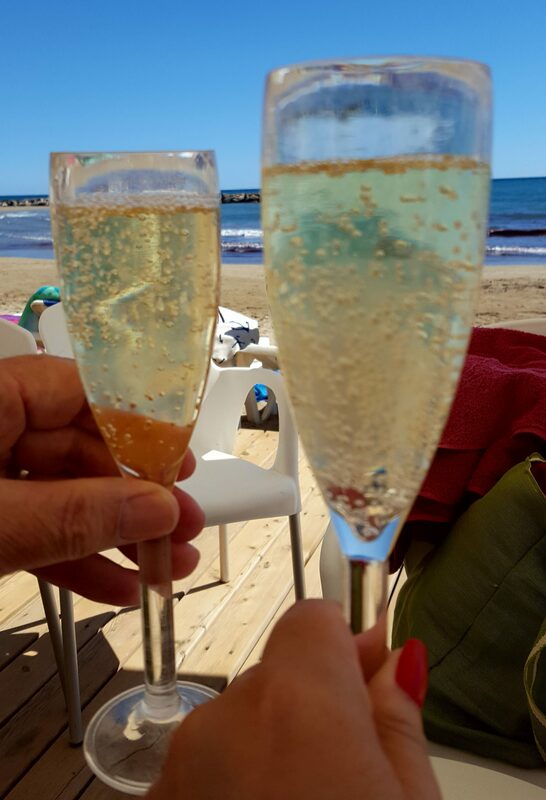 Two years ago we came to Sitges, Spain to renew our vows for our 20th wedding anniversary. The ceremony was held at our dear friend Xavi’s restaurant Alfresco with his family (our family here) and our good friend Wayne Gardner in attendance. A very special day in a very special place with incredible friends. Who knew that in just over a year that we would be living here. Tonight we will celebrate once again at the most romantic of restaurants, Alfresco. Previous postTrust your wings. You’ll be flying again soon. Congratulations – your smiles speak to all the happiness you two share! !